In April of 1984, after failing out of College and entering into a 2 year enlistment in the US Army, I took an oath to “defend the Constitution of the United States against all enemies, foreign and domestic”. Since swearing that oath, my battles have been not with foreign enemies of the United States, but rather with domestic terrorists who are waging a war against sick and suffering Americans. In 1993 I graduated from Nursing School and I pledged to “devote myself to the welfare of those committed to my care”. Little did I realize, that striving to fulfill these duties would turn into a decades long battle against well entrenched bureaucratic agencies and a medical establishment that oftentimes seems more interested in demonizing a plant, than in saving lives. The prohibition of Cannabis has led to the deaths of countless Americans, by denying them access to needed medication. It has led to a dependence on petrochemicals that has destabilized governments and contributed to global warming. It has led to deforestation and pollution in order to make paper. It fuels a legal/prison-industrial complex that has destroyed millions of lives. The prohibition of Cannabis violates fundamental Constitutional rights and undermines the safety and welfare of the citizens of the United States. As a Veteran and as a Nurse, I recognize that I have a duty to stand up for those who are not able to stand up for themselves. I helped draft New Mexico’s Medical Cannabis Law, incorporating the New Mexico Nurses Association’s recommendation that Advanced Practice Nurses be allowed to refer patients to the Program. Now, as a Psychiatric Nurse Practitioner, I manage over a thousand patients in our Program for PTSD. In my practice, Cannabis has proven to be the only medication that’s effective for treating PTSD. Not only does Cannabis alleviate symptoms in every symptom cluster of PTSD, it is the only medication that rapidly alleviates suicidal thinking in many patients. Suicide has reached epidemic proportions in the United States with over 100 suicides every day, 22 of which are Veterans. Unfortunately, too many politicians and doctors suffer from “Marijuana Derangement Syndrome” (MDS), a shared delusional system in which sufferers become incapable of distinguishing between the reality of science, and the pseudoscientific rantings of those who owe their careers to the demonization of a life saving plant. It seems that many who suffer from MDS would prefer to see Vets go through “high velocity transcranial lead therapy” (AKA, a bullet through the head), than to admit they are wrong about Cannabis and allow these brave men and women to smoke a joint to alleviate their suffering. Many politicians and bureaucrats continue to denounce “Marijuana” as the root of all evil, even as science proves the safety and medical utility of Cannabis every day. Fortunately, the tide finally seems be turning in the favor of science and compassion rather than intolerance and political expediency. I filed a rescheduling petition for Cannabis in late 2009, demanding that Cannabis be removed from Schedule I of the Controlled Substances Act because it clearly has “accepted medical use in the United States”. Early in 2011 the Governors of Washington and Rhode Island also filed a rescheduling petition but they asked for Schedule 2 placement of Cannabis. The FDA sat on the petitions for many years but last fall they finally completed their review (after denying me access to the hearings) and sent a scheduling recommendation to the DEA. Although I filed a Freedom of Information Act request, neither DEA nor FDA will tell me what the recommendation is. However, under recent pressure from the US Senate, the DEA has said it will issue a determination on scheduling for Cannabis by the end of June. I anticipate that FDA has told DEA to move Cannabis to Schedule 2 of the CSA (keep in mind this is only speculation). This will finally allow research into Medical Cannabis and may allow restricted access to whole plant Cannabis for medical use. I also expect to see Sativex and Epidiolex, 2 patented pharmaceutical Cannabis extracts, to be placed in Schedule 3, along with Dronabinol (synthetinc THC). This would allow a pharmaceutical monopoly on “legal Medical Cannabis” while allowing the DEA to claim that State Medical Cannabis Programs are still illegal. If I am correct, I will soon be back in the Court of Appeals to continue the battle for patient rights. Nurses are consistently rated as the most trusted medical professionals in the United States. We are trained to identify problems and to find ways to fix them. We learn the importance of listening and collaborating, rather presuming we have all the answers. We are taught to practice critical thinking skills, instead of believing everything we are told. We advocate for the rights of patients even if that means going against the establishment. We are inspired by the empathy and compassion that is at the heart of nursing. We inspire others through our actions. I’ve been honored to meet so many other nurses who are working as advocates to advance Cannabis policy in the United States, and around the World. You inspire me to keep fighting on. It’s the care you provide that will inspire future generations of nurses to carry on these traditions. 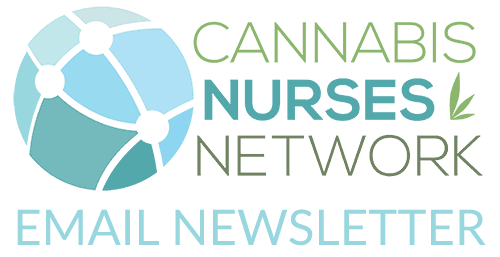 Nurses are at the forefront in teaching each other, politicians, other medical professionals and the public about the importance of Medical Cannabis. As I mentioned earlier, I manage over a thousand patients in New Mexico’s Medical Cannabis Program for PTSD. As a prescriber, I’ve compared pharmaceuticals to Medical Cannabis, with and without additional dietary supplements for the last decade. A majority of my Medical Cannabis patients have been able to reduce the use of pharmaceuticals and many have stopped pharmaceuticals altogether. I have now moved away from prescribing pharmaceuticals and I started my own practice, Harmony Psychiatric. 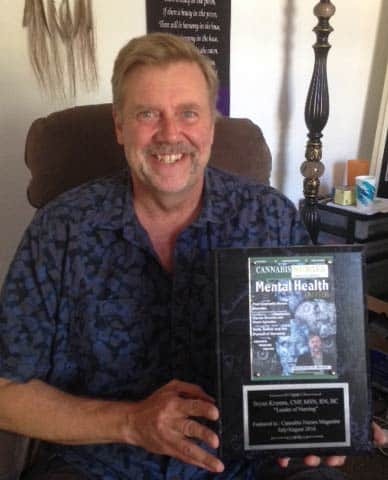 I’ve developed “The Harmony Treatment Algorithm for Psychiatric Wellness” to help people take more control of their own psychiatric care, instead of seeing a psychiatrist for a new prescription every month. These methods do not require prescriptive authority and can help guide nurses to provide more effective patient care. If you have any questions about the use of Cannabis for treating PTSD I encourage you to read the article I recently had published in The Nurse Practitioner. I explain the neurobiological processes involved in PTSD and the role of the Endocannabinoid System (ECS) in regulating those processes (if you’re looking for references, here they are). I conclude, “Cannabis is effective in treating PTSD, even when there are other co-occurring psychiatric and/or medical disorders.” (I think this may be the first time a peer reviewed journal has published a statement this definitive regarding the psychiatric use of Cannabis). You can find a link to the full text of the article in the Patient Information section at harmonypsych.org. 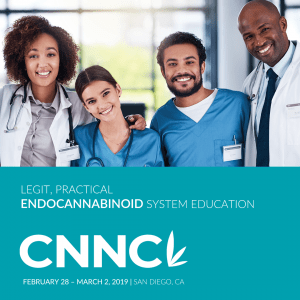 Patient education is a critical component of Nursing care, so it’s important for Nurses to understand the role of Cannabis in psychiatric care. Dysfunction of endocannabinoid signaling has been implicated in most psychiatric disorders. Cannabis has unique therapeutic effects for treating PTSD which can’t be replicated by any other class of medication. Cannabis is the only medication that has proven effective in treating every symptom cluster of PTSD. Remember, Nurses are the front line of defense in the War against ignorance, intolerance and pseudoscience. Nurses have a duty to protect patients from the unethical and dangerous actions of other healthcare providers, and from the reckless actions of ignorant politicians who prefer political expediency, to the protection of human life. Nurses play a critical role in changing the political landscape regarding Medical Cannabis, and will continue to make the World a better place for everyone. Nurses may be the best hope for those Veterans who have given so much of themselves in order to protect the American way of life. I encourage you to review The Harmony Treatment Algorithm at harmonypsych.org. In my clinical practice, these recommendations have proven far safer and more effective for treating PTSD than any pharmaceutical or pharmaceutical combination. Recommendations about diet, exercise and stress reduction are within the scope of Nursing practice. These recommendations can help empower Nurses to provide better care to those we serve. By educating ourselves we can better educate policy makers and other healthcare professionals about the value of Medical Cannabis. The misguided policies of Cannabis prohibition have caused great harm to society and have led to countless deaths. The Nursing Profession has a duty to continue to guide policies regarding Medical Cannabis, in order lead us to a brighter future and ensure the safety of our patients and the public.